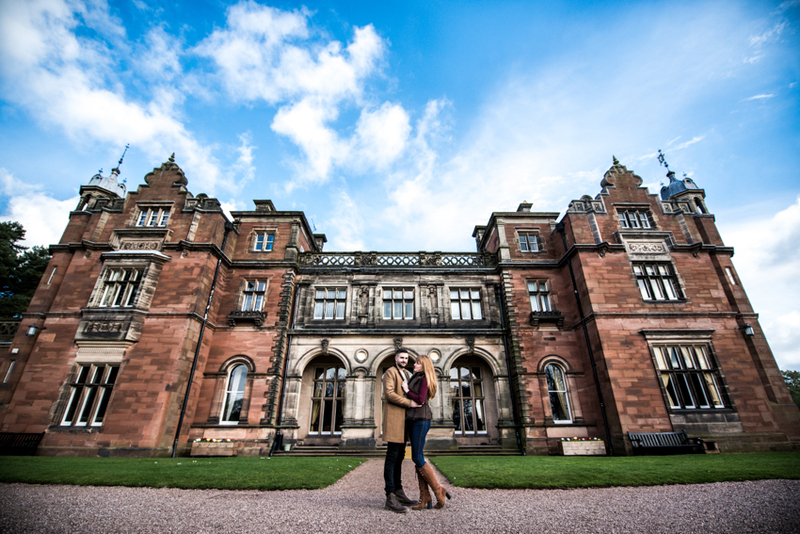 Sophie & Ryan got in touch last year to enquire about an engagement shoot. We planned a date in the diary so far in advance it was lovely when it came around as the build up had seemed like forever. 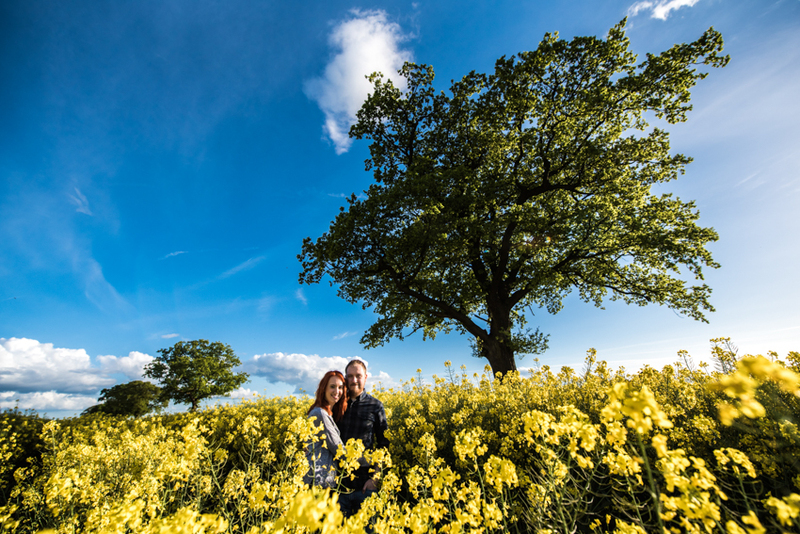 A Cannock Chase engagement shoot is always something I love to revisit. With most places you can go and feel the challenge of recreating the same small space over and over again. I love recreating and reinventing but I also love new spaces and new ideas. Cannock Chase offers an abundance of new scenery whichever way you choose to wander. I normally follow the light through brambles and fallen trees to get the most beautiful spots for photographs. In the run up to Spring it’s fair to say we’ve had a few Indian summer like days which have only got me more and more excited for the fast approaching change in weather. Myself, Sophie & Ryan managed to absolutely drop on with the weather with a relatively clear sky and a nice warm sunny haze. I chased the sun around the various parts of the forest in search of my next high contrast shadow mix. Sophie & Ryan were so committed to the cause they followed me through brambles, nettles and fallen trees. My couple’s commitment to a great photograph is always something which surprises me. They’ll follow me through these crazy conditions but also they’ll mentally accept me into their inner circle of complete trust. I’d never met Sophie and Ryan before but after interwoven chats in and around the photography about all things video games then on to our favourite dystopian films and tv series we were sorted. In comparison to weddings engagement shoots are by far the most awkward for a couple, hell, even I feel awkward taking very intimate photographs of couples I’ve never or only met once before. As just a genuine human I wouldn’t want to be stood where they are with no interaction or conversation to distract me. Taking my own thoughts and feelings and applying these to delivery a friendly easy to work with shoot is my golden recipe. Sophie & Ryan described openly with me how nervous they were about the shoot and now I know for a fact they’re so chuffed with how it all turned out. They were awesome and all it took was some over conversing photographer to calm them down. Looking for a Cannock Wedding Photographer? I’m a relaxed and informal Stoke-on-Trent wedding photographer who often ventures further afield including Staffordshire, Derbyshire, Cheshire, Shropshire and the rest of the UK. I don’t charge for my travel or accommodation as I love the look of different landscapes in my photographs. If you are interested in having me photograph your wedding whether it’s in Cannock or elsewhere then CLICK HERE to drop me an email about your day. If you’d like to hear a little bit more about me, my life and my sausage dog you can click here to find my about page.